Shifting from the regular and the most convenient square shape, people have started making the indoor and outdoor swimming more interesting and visually appealing with interesting shapes like feet, guitar which also has variable depths across the length and breadth. The infinity concept in the pool design is evergreen, however the knife edge gives the never ending effect more distinctively by creating a reflective mirror effect in the edges. 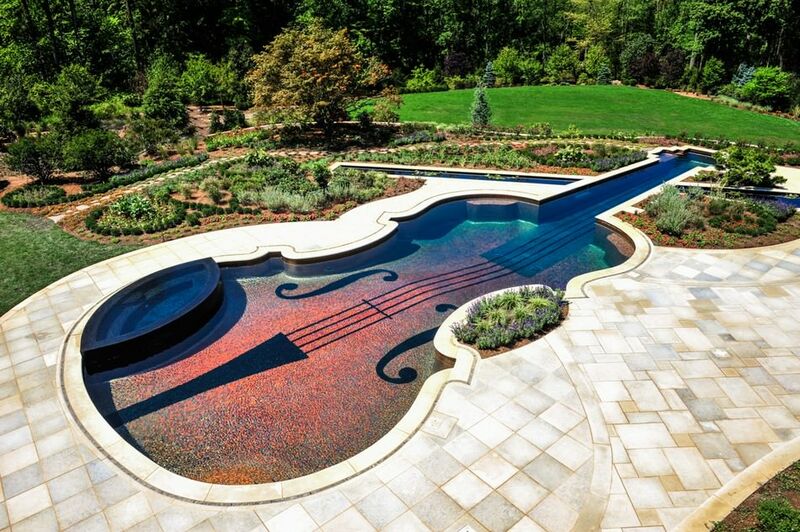 The mirror image of water at the edges gives a feel of water flowing in all the directions of the pool. 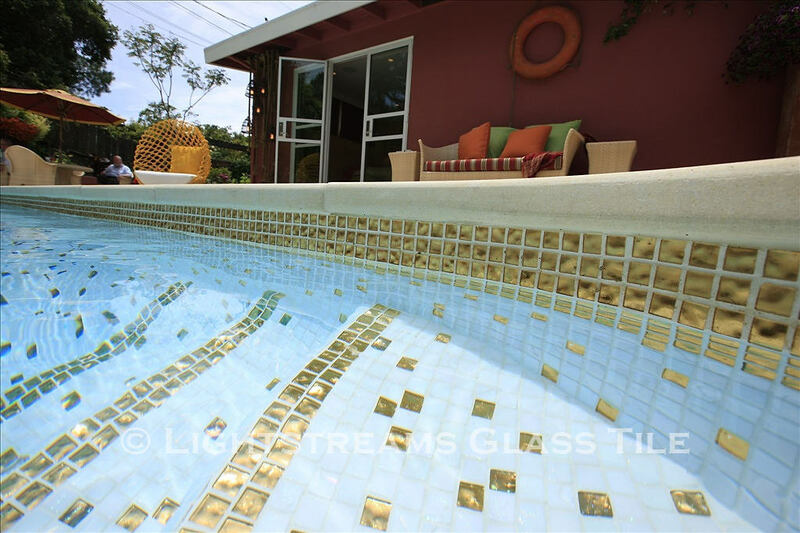 Whether a resort or your own backyard pool, some extravagant designer tiling for the pool will give the extra edge. The invigorating dip with your partner can be more romantic and worthwhile in the pool. A iridescent glass tiling glows in the water. The toddlers and children can learn the tricks of swimming and enjoy splashing water with a special pool space specially designed for them. The pool size can depend on the space available and can have minimum depth as can guarantee safety of the children. 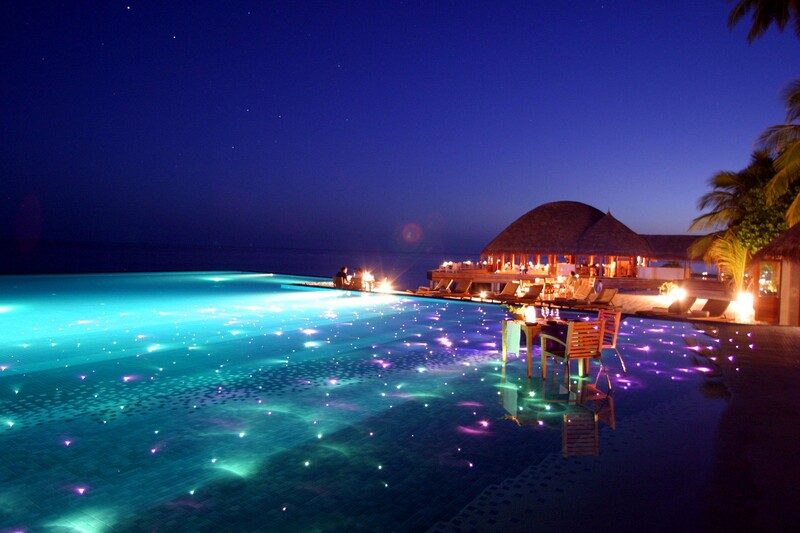 The lights definitely make the pool look beautiful, colorful and also peaceful during the night time. 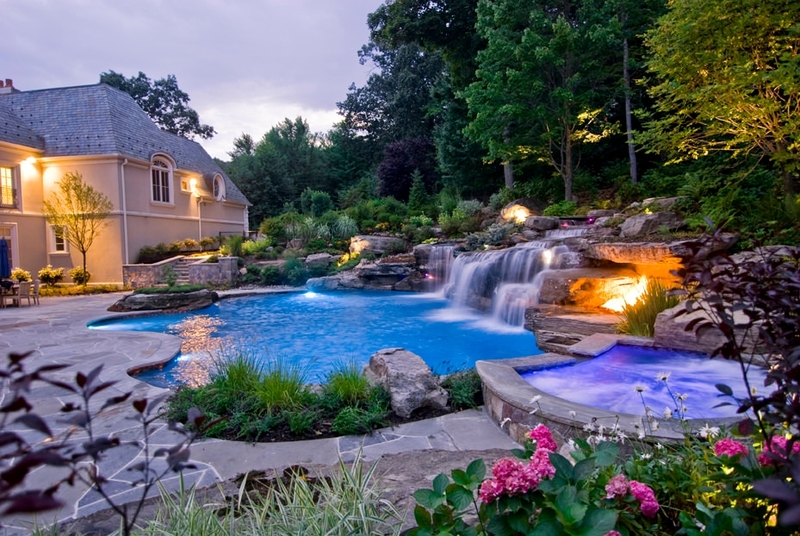 The colour changing LED lights can make the traditional pool design stand out. Proper lighting can allow a good pool party organisation right till the wee hours of morning. 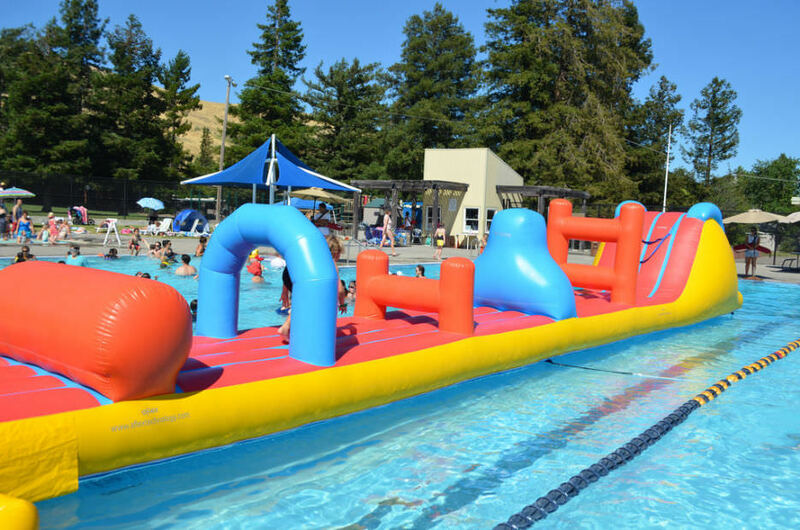 Tanning ledges are perfect for the kids wherein these are submerged in the shallow waters partly giving the desired fun and pleasure to the kids. The adults can enjoy on the lounge chair for the perfect sun tanning effect and also rest after a good dip time. 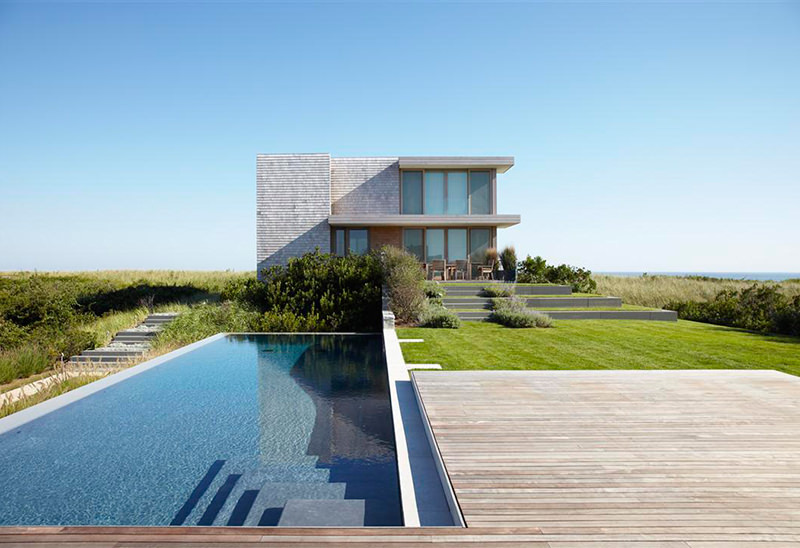 When thinking of your own pool in the backyard, one can give a resort like feel by having the walls and waterfalls constructed during the designing phase itself. The beach entry as also addition of rocks can give an even augment the beauty to a higher scale. Landscaping is without a doubt an absolute delight. One can have wooden flooring which have a double benefit of scenic look and also warm feel. However, one can also try a natural designing with the help of granite rocks to give a forest feel. The special oasis can also be more special when situated near the lawns. The indoor pools can be fun in case it is full length. Here, adequate attention needs to be paid on the ceiling which needs to properly fitted with neon lights. as much as one focuses on the tiling and seating. 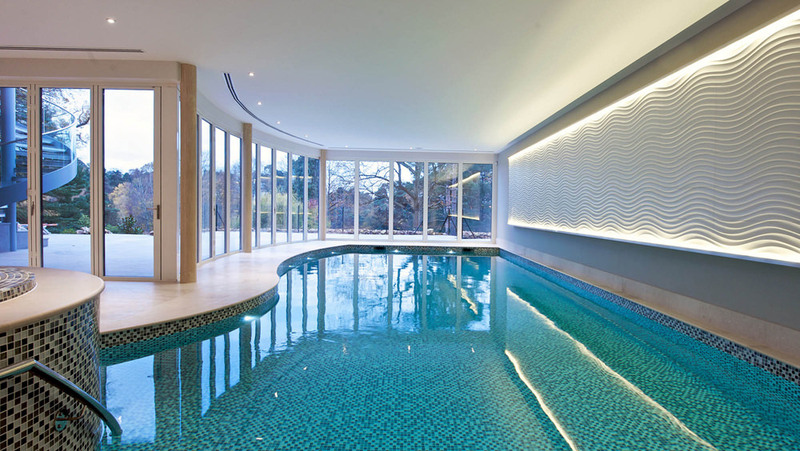 The exquisite pools take care of the de-humidification requirements to maintain air quality. The idea of having a hot tub rocks is trending especially in terms of utility and also as it easily culminates into the pool itself. This can help complete the pool and also convert it into a small spa space giving a combo benefit.